On the afternoon of Feb. 14, seniors crowded onto the gym bleachers to prepare for the first presentation by the Northside Student Voice Committee. At the same time, juniors gathered in the auditorium as freshmen and sophomores had done earlier that day. The theme of the committee’s presentation was “Speak Up,” offering Northside students a way to challenge and confront words and actions they find offensive. The committee explained to students the four steps of speaking up: interrupt, question, educate, and echo. First, if someone overhears an offensive remark, they should interrupt the speaker before asking what was meant and why it was said. This way, both sides can come to an understanding on the purpose of the remark. Even if something was not meant to be offensive, its negative effects on others are valid. The reasons for this should be explained to the offenders, who should be educated on how to correct their behavior in the future. Finally, other people nearby, whether they were uncomfortable speaking up or did not realize the hurtfulness of the remark, should echo and agree with the person who spoke out, reinforcing the lesson. After the presentation, the committee, along with administration, took questions that ranged from the relatively simple (“How do we best speak up?”) to the more complex (“Why is this a problem?”). There were also questions that the administration could not adequately answer, which lead to greater student discussion. Although there were many questions about the school administration's past practices, these were not always discussed in much detail. Other students were disappointed by the timing of the event, believing it to be conflated with Black History Month. At one point, a senior stood up to question the significance of the presentation; however, the committee was able to effectively assert the importance of the presentation and the coincidence of its timing. When asked about the event, Student Voice Committee member Samantha Farmer, Adv. 004, said, “The goal of our presentation was to spread awareness about our committee, and I think the whole school was able to see what we’re about and how we’re trying to better school culture.” Other students thought the event was important too. Edina Hadzic, Adv. 905, said “I thought the presentation was necessary, and I’m glad we had the presentation because these are issues everyone is afraid to speak up about.” Hadzic echoed the general consensus around most of the school, with most students agreeing the campaign was a necessary event. In an eventful year for Northside -- with regards to offensive remarks and actions -- the Speak Up Campaign was well received. 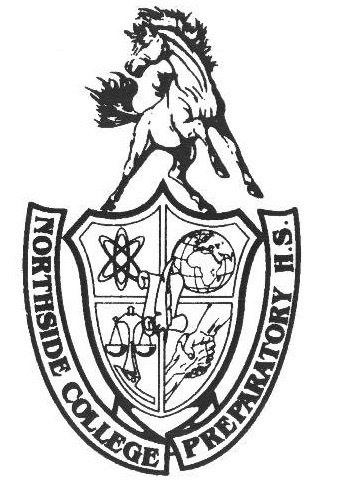 From all of Northside’s grade levels, there have been cases of hurtful and offensive language which the Student Voice Committee’s techniques are specifically designed to combat. The committee itself, a relatively new organization, has the goal of making sure all students are heard and understood by the administration, preventing these hurtful attacks. As Northside continues to move forward as a school, the SVC hopes that students will continue to pay attention to the words and actions of others. For the Student Voice Committee’s first organized event this year, it was certainly successful. Not only was it able to gain recognition for itself and its mission, but it was able to teach all students something important: standing up to offensive language and actions. The strategies they taught will be useful not only for Northsiders today, but in the coming years as these debates continue.